← the month of the pumpkin! mike and i hosted a costume party on saturday for halloween, our favorite holiday. 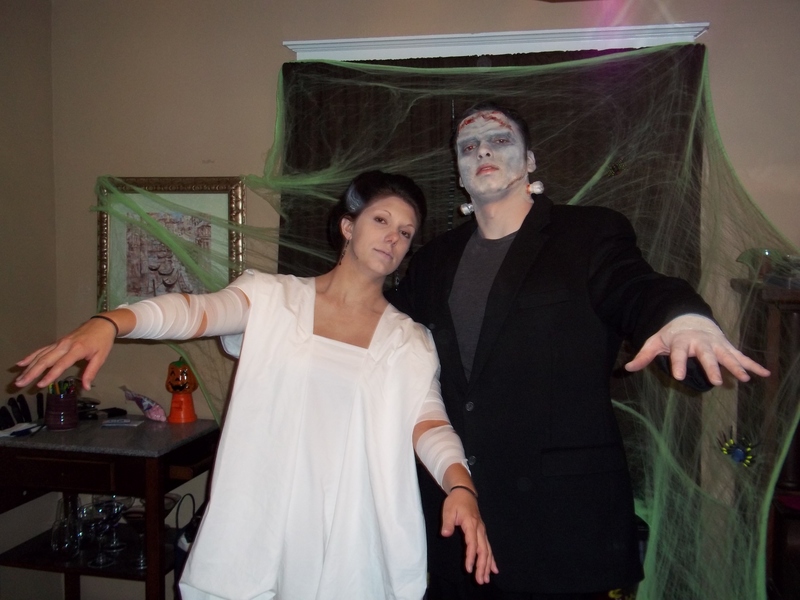 we dressed up as frankenstein and bride of frankenstein, and it was a big hit! we also carved pumpkins to go with our costumes for a little teaser as our guests walked up the steps. the reason this counts as a post on creation nation is that i made my costume, and i made mike’s pec suit! i bought a white fitted sheet for $3 at the thrift shop and made the dress. for mike’s bulky pecs and shoulders, i used an old flannel pajama top and sewed little pockets on the inside that i then stuffed and sewed closed. it was all just kind of random sew-as-i-go without any pattern or anything, but i was really pleased with how both turned out. and glad to be getting some use out of my sewing machine! 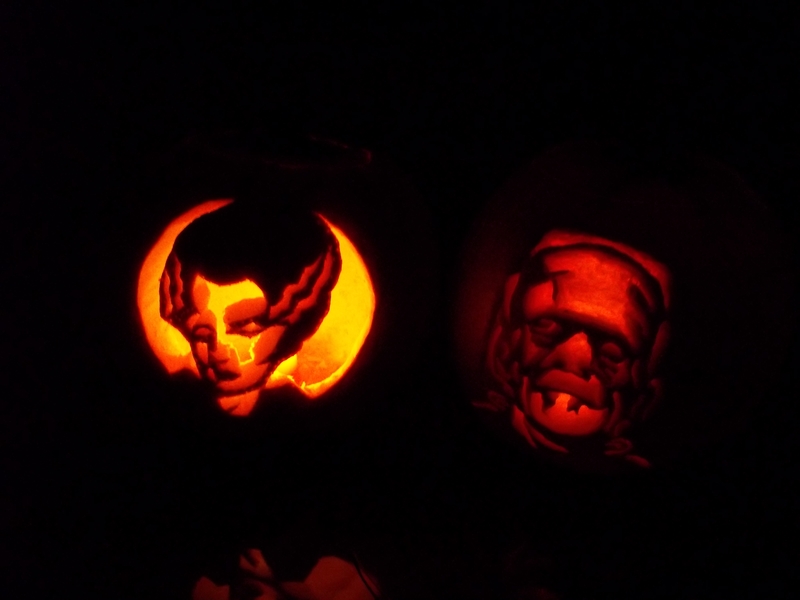 This entry was posted in Fun Stuff and tagged costumes, halloween, pumpkin carving, sewing. Bookmark the permalink. My favorite characters! Looks great.